It’s September, the time for a brand new Apple iPhone. This year brings us the Apple iPhone 7. 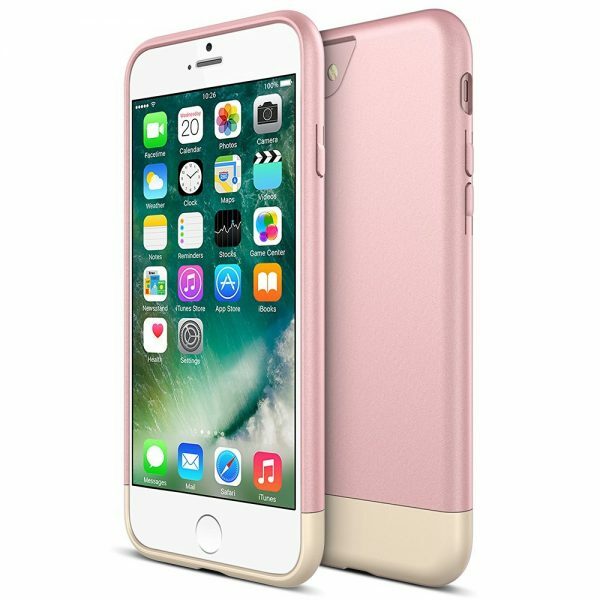 The Apple iPhone 7 has been unveiled on September 7, 2016 with availability starting from September 16, 2016. The Apple iPhone 7 is available in 5 different colors (Jet Black, Black, Silver, Gold and Rose Gold) with prices starting at $649. The Apple iPhone 7 is a beautiful looking premium smartphone that needs to be protected from daily wear & tear, accidental damage etc. 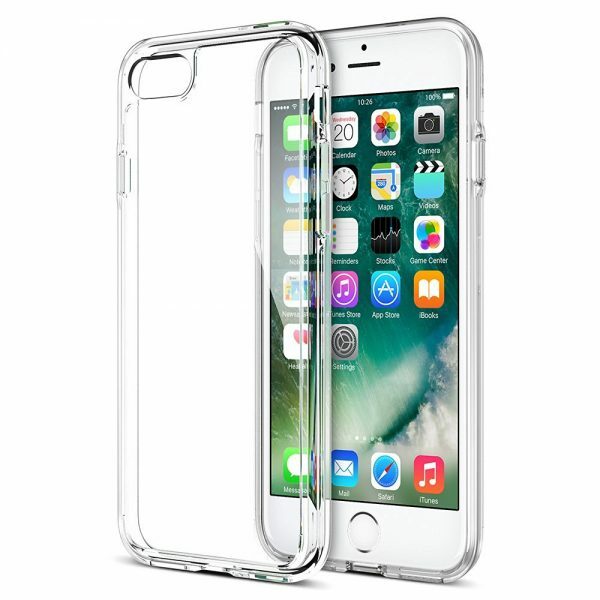 Choose a good smartphone case/cover to protect the iPhone 7 from drops, bumps, shocks, scratches, dirt and dust. 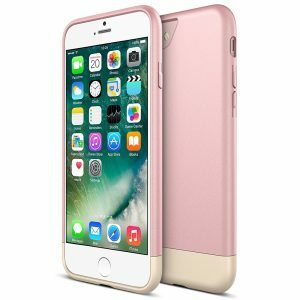 Listed below are the top 10 best Apple iPhone 7 cases and covers. 1. 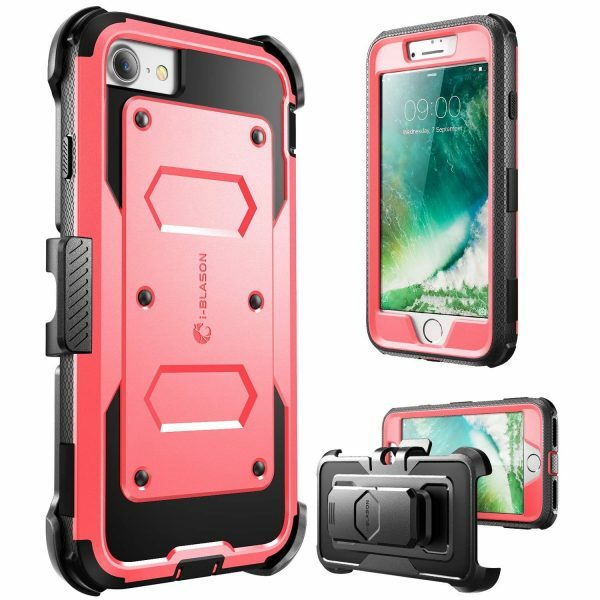 Spigen Tough Armor Apple iPhone 7 Case: The Spigen Tough Armor Apple iPhone 7 Case is the perfect combination of good looks and ultimate protection. Never ever worry about damaging your smartphone with the Spigen Tough Armor Apple iPhone 7 Case. The case uses air cushion technology for corner protection and the raised bevels protect the touchscreen display and camera lens. The Spigen Tough Armor Apple iPhone 7 Case is available in 6 colors. 2. Caseology Savoy Series Apple iPhone 7 Case: The Caseology Savoy Series Apple iPhone 7 Case is a luxurious case for a premium smartphone. 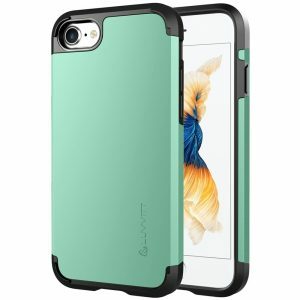 The case is amazingly soft to touch owing to its matte finish and satin coating. The Caseology Savoy Series Apple iPhone 7 Case is available in 5 colors. 3. UAG Pathfinder Apple iPhone 7 Case: The UAG Pathfinder Apple iPhone 7 Case offers top-notch protection in an ultra-lightweight package. The case meets military drop-test standards to protect the iPhone 7 from drops, bumps and shocks. The case also features a raised lip to guard the display and rear skid pads. The UAG Pathfinder Apple iPhone 7 Case is available in 3 colors. 4. Speck Products Presidio Grip Apple iPhone 7 Case: Experience grip with the Speck Products Presidio Grip Apple iPhone 7 Case. 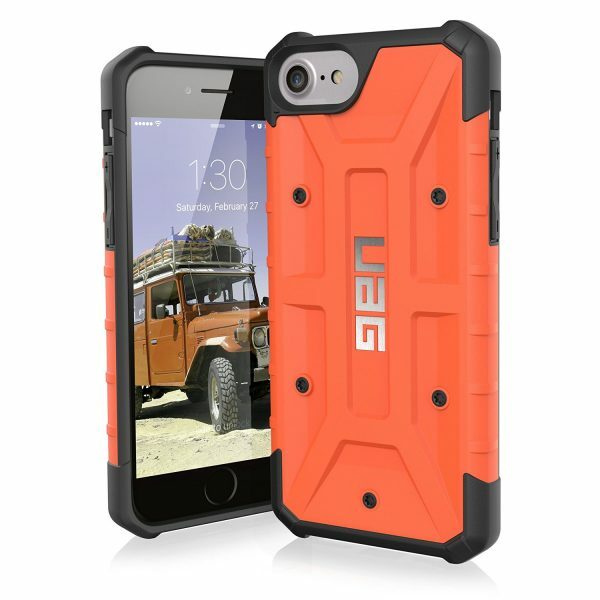 The case offers no-slip grip with the raised rubber ridges on the back. 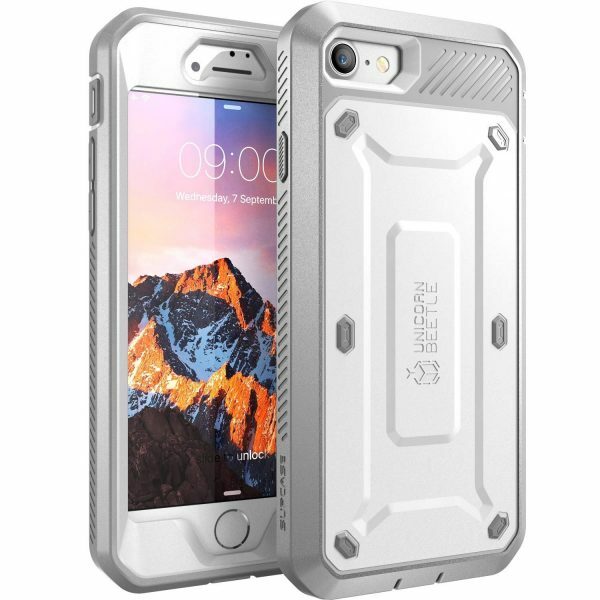 The case is also great at impact resistance and shock absorption. The Speck Products Presidio Grip Apple iPhone 7 Case is available in 6 different colors. 5. 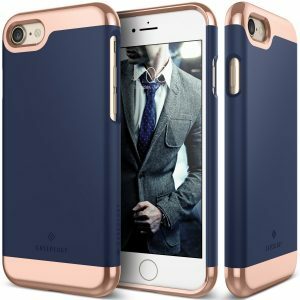 Supcase Unicorn Beetle Pro Series Apple iPhone 7 Case: If you need a holster case to carry around your iPhone 7 comfortably, the Supcase Unicorn Beetle Pro Series Apple iPhone 7 Case is a great choice. The case is equipped with a side mount belt clip swivel holster. 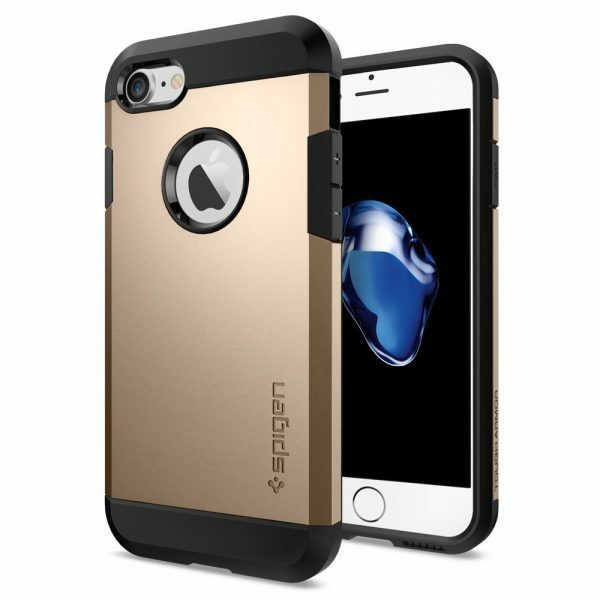 The case also offers rugged full-body protection with dual-layers and a built-in screen protector. The Supcase Unicorn Beetle Pro Series Apple iPhone 7 Case is available in 5 colors. 6. i-Blason ArmorBox Apple iPhone 7 Case: Just like the Supcase Unicorn Beetle Pro Series Apple iPhone 7 Case, the i-Blason ArmorBox Apple iPhone 7 Case is also equipped with a rotatable side mount belt clip swivel holster and a built-in screen protector. The i-Blason ArmorBox Apple iPhone 7 Case is available in 5 colors. 7. 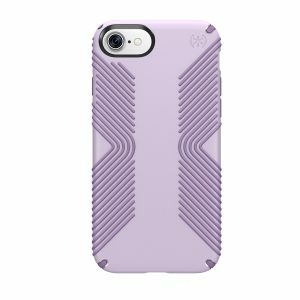 Caseology Parallax Series Apple iPhone 7 Case: The Caseology Parallax Series Apple iPhone 7 Case features a very interesting geometric honeycomb pattern. The case also offers a comfortable grip with its textured finish. The Caseology Parallax Series Apple iPhone 7 Case is available in 7 different colors. 8. 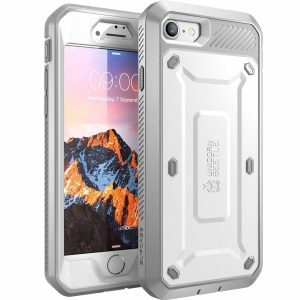 Luvvitt Ultra Armor Apple iPhone 7 Case: The Luvvitt Ultra Armor Apple iPhone 7 Case provides heavy duty protection from drops, bumps and shocks at an affordable price. 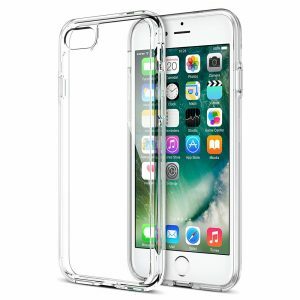 The case is very durable and the impact resistant, shock absorbing corners guard the iPhone 7 against drops. The Luvvitt Ultra Armor Apple iPhone 7 Case is available in 8 different colors! 9. Maxboost Vibrance Series Apple iPhone 7 Case: The Maxboost Vibrance Series Apple iPhone 7 Case is ultra-slim and available in 4 vibrant colors. 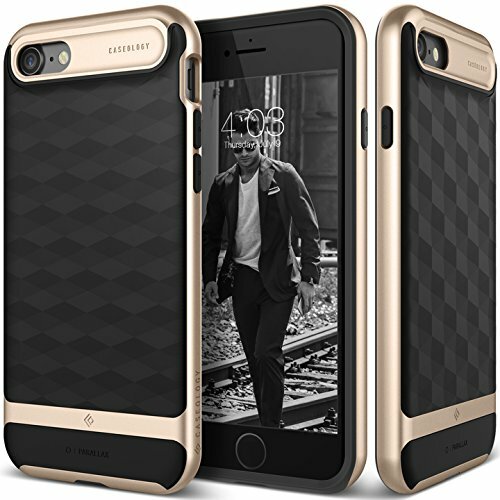 The Maxboost Vibrance Series Apple iPhone 7 Case also offers adequate protection to your smartphone. 10. Trainium Clarium Series Apple iPhone 7 Case: The crystal-clear Trainium Clarium Series Apple iPhone 7 Case lets you maintain the original look of the very beautiful Apple iPhone 7. The case is scratch resistant, shock absorbent. The Trainium Clarium Series Apple iPhone 7 Case is also available 3 different color bumpers. These are the top 10 best Apple iPhone 7 cases and covers. Do let us know if we have missed out on any good Apple iPhone 7 cases.